SPEED MEETS STABILITY. THIS SUPER-LIGHT, COMPOSITE XC FLYER BLENDS THE MOST UP-TO-DATE MAESTRO SUSPENSION TECHNOLOGY WITH TOTALLY RE-ENGINEERED 29ER GEOMETRY. 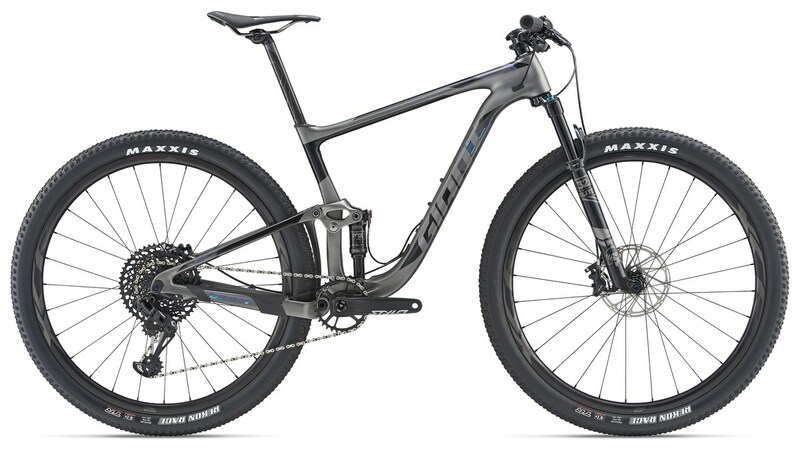 IF XC RACING IS YOUR GAME, THIS IS THE PERFECT PARTNER FOR YOUR PODIUM QUEST. 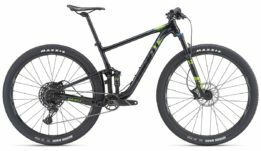 Handcrafted with a super-light Advanced-grade carbon frame, this 2019 Giant Anthem Advanced Pro 29er 1 XC flyer features 90mm of smooth rear suspension travel and 100mm up front. The new trunnion mount shock produces a lower leverage ratio for better pedalling and braking efficiency, and also allows for shorter chainstays to improve the bike’s climbing capabilities and agility. The Advanced Forged Composite upper rocker arm is lighter, stiffer and stronger than the previous aluminium version and the combination of wider Boost hub spacing and a Giant WheelSystem gives you super strong and stiff wheels for confident, precise handling on XC terrain.